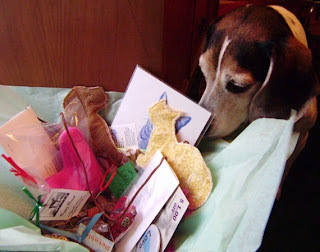 Send in a video or slideshow (minimum 30 seconds long) of your pet enjoying their Petsjubilee box. All entries become the property of Petsjubilee and will be used on our blog, website, and/or our youtube account, but credit will be listed wherever its posted with a link to your shop. All entries will receive a $10 gift certificate towards the purchase of any item in our Petsjubilee shop. A panel of judges will choose the best commercial which will be announced August 20th. The winner will receive a free BONUS box, a $10 gift certificate, plus a free 125x125 ad on our blog for 30 days. 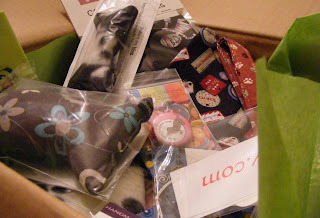 Email your entry to Petsjubilee@live.com by 8:00 pm EST August 15th, 2011.